Please consider making a contribution on Giving Tuesday to the efforts of the Edison Foundation to run the competition, give awards to the winners and stipends to their teachers. There are no donation minimums but anyone donating before December 31, 2014 will receive one (1) free music album download (up to $15.00) on Apple I-tunes for each $100.00 contribution. Edison Innovation Foundation is a non-profit based in Newark, New Jersey that supports science and technology education and the Edison Legacy. 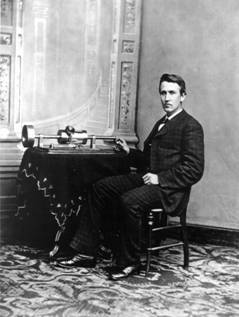 On October 2014, we announced our 5th Annual Edison Invention Challenge for grades 6 to 12. Students and others are encouraged to create a new invention using alternative technology (wind, solar or fuel cell technology). In the spring of 2015, the winners and their school and teachers will be announced at an awards event. If you are in grades 6 to 12, you can join the invention challenge. December 8, 2014 is final entry date. This entry was posted in Did You Know? on November 30, 2014 by Edison Innovation Foundation.